The successive approximation type DVM is special type of potentiometric DVM in which a digital divider is used in the place of linear divider. The servomotor replaced by electromagnetic logic. 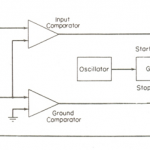 The comparator compares the output of digital to analog converter with unknown voltage. 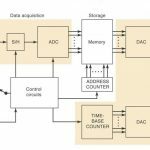 The digital to analog converter successively generates the sequence of digits. 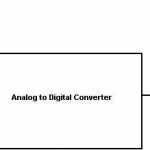 The signal is sent to the output for display ,when the output of digital to analog converter becomes equal to the unknown voltage. It is a special analog to digital conversion technique which is also known as binary regression. The block diagram of successive approximation type DVM is shown in above figure. 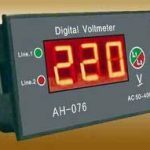 The comparator is used to compare the output of digital to analog converter with unknown input voltage. The comparator output is given to the sequencer and logic controller. The sequence of code is generated by the sequencer which is applied to digital to analog converter. The output of DAC is available at position 1 and the unknown voltage which is to be measured is available at position 2. The logic control is used to drive the clock. The clock signal is used to connect the switch at position 1 or 2.